Since eLearning arrived on the scene, it has transformed the way companies train employees. You can now access quality, convenient and consistently delivered training for your staff to boost their productivity, influence behaviour at the workplace and impact your business positively at the click of a button. We built Erevuka to provide high quality career based training and to give you access to professionally developed courses conveniently online. 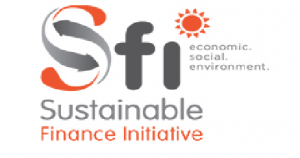 SFI is an e-Learning portal that was developed to support training of all KBA member banks in Sustainable Banking practices. The platform is seen as a benchmark program in the region as it enables banks to have secure, free access to 6 training courses including case studies and associated material. Farwell developed the portal and is to date responsible for maintenance and support facilitating banking staff to take the training successfully. Within 18 months of being live, over 25,000 banking staff had taken the SFI course successfully and earned a certificate in sustainable banking. Kenya Bankers Association selected Farwell Innovations Limited based on their wealth of experience in both software development and eLearning solutions, to design and develop the INUKA MSME eLearning platform. The Inuka training platform supports micro, small and medium enterprises through 7 key training modules tailored to equip MSMEs with key skills to promote growth and enhance their ability to access finance. Think Aviation contacted Farwell to develop an E-Learning portal to support the training of aviation professionals in non flight training such as Dangerous Goods Awareness and Safety Management Systems. This is the first solution of its kind in the region as it enables THINK Aviation to train aviation staff on essential annual training courses conveniently online irrespective of users’ location and time.